How Do I Get an HGV License? With Wayside Transport you’ll never need to ask “How do I get an HGV license?” again. With a first-time pass rate of 25% over the national average, we can guarantee a high-quality course with first-class instructors on hand to help you every step of the way. Give our friendly and helpful team a call on 01202 873 911 to arrange your HGV license today. Did you know that LGV/HGV license drivers earn up to £30,000 a year? Contact us today if you took your driving test after 1997 and would like to cater to the high demand for driving large and heavy goods vehicles over 3,500 kg. With a first-time pass rate 25% above the national average and a fully NRI accredited and DBA/CRB certified team, Wayside Transport is the obvious choice for your LGV training. Here at Wayside Transport, we’ve been offering comprehensive bus and minibus training for over 20 years, both to individuals looking to change their career path and to companies wanting to train their staff. With test centres in Poole, Southampton and others local to you, we aim to make our LGV/PCV as straightforward and convenient as possible for you. Contact our friendly and helpful team to arrange your bus and minibus training, or to remove a 101 restriction from your existing license today. Did you pass your driving test after 1st January 1997? If so, you’ll need to take an additional test to legally tow a trailer with a gross weight over 750kg, which includes most double horse trailers and caravans. If you currently have reversing/trailer experience, we can arrange a 1.5-day course to accommodate your existing skills. At Wayside Transport, we understand that an LGV Assessor is a vital member of your organisation’s transport team to review and update safe driving practices. As well as being cost-effective, our LGV Driving Assessor course eliminates the need for external training once a member of your team has been trained. Before the course begins, we’ll assess your team member’s driving and suitability, and provide an assessment report. We’ll then create a bespoke training package to ensure they’re fully capable of the role. Lasting five days, our course takes place at our Wayside Transport site in Ferndown, and can also be carried out at your business premises if appropriate. Are you an LGV driver looking to become an LGV driving instructor? Our LGV Driving Instructor course is for you. 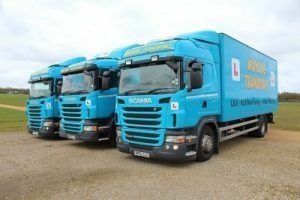 Lasting five days, our course covers all aspects of your driving to an LGV Instructor Standard, with an additional five days to prepare for your Instructional Abilities Test. You’ll then be at a standard to take your pre-arranged driving test, which you’ll need to pass before taking your abilities test. Did you know most shunting accidents happen at low speed and on company premises? A combination of factors can contribute towards a shunting accident, such as unknown locations, stress and being in a hurry at the end of a shift. At Wayside Transport, we offer shunting training to minimise the risk of an accident by covering all safety rules for various situations. Our intensive one day course, which can also be split between additional days depending on the number of course participants, also covers driver’s responsibilities on the public highway. Are you a qualified LGV/PCV driver wanting to work in either haulage or passenger markets? 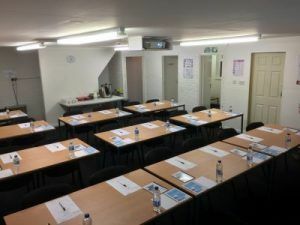 In partnership with Driving Force (South) Limited, our sister company, we host weeks of CPC training at our premises for current LGV/PCV drivers. With trainers focused on your needs and requirements, we’ll train you with our understanding and thorough approach. Contact our helpful and friendly team to find out more about our CPC Training and HGV license today. Why choose Wayside Transport for your HGV Training? Still need convincing that Wayside Transport is the perfect choice for your HGV training? Have a read of our glowing testimonials from our many happy students who have benefited from our first-class training. You can also view our online gallery to see some of our fantastic and fully equipped training vans. Contact our helpful and friendly team to find out how Wayside Transport can help you to obtain your HGV license, or for more information about our range of training options, today. Are you ready to stop asking “How do I get an HGV license?” Then contact our friendly and helpful team today by calling us on 01202 873 911. Alternatively, you can message us by filling out our quick and simple online form, and we’ll get back to you as soon as we can.